Most people believe that LEDs have been around for just a few decades, but that’s not the case, and few know much about the little lights that are about to take over the world. Any electronic, industrial, or manufactured product that needs a light has at least one LED of some size or color. 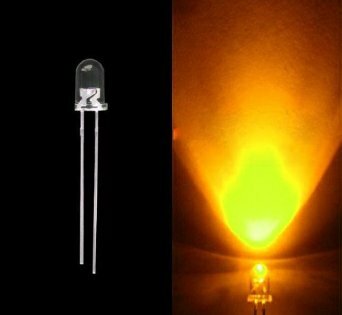 Global research and development teams of major LED manufacturers work continually to be at the forefront of this fast-moving, innovative industry. The versatile designs with optional features have various applications in numerous industries. Our world would be a much darker place without these powerful, high-intensity lights that now have such a presence in our lives. It all started in 1907 when an Englishman H. J. Round started poking things with an electric current, and a rock lit up, discovering the phenomenon of ‘electroluminescence.’ Oleg Losev a Russian experimented for another decade and a half trying to light up ‘rocks,’ and finally succeeded in producing the first rudimentary LED, but no one thought much about it. It wasn’t until 1935 when a Frenchman George Destriau electrified zinc sulfide, and it glowed that he became known as the inventor of electroluminescence. Needless to say, a whole lot of experimentation and research went forward in semiconductor physics, then in 1947, the transistor, a major scientific advancement in electronics, was invented. For this achievement Bardeen, Brattain, and Shockley received the Nobel Prize in Physics in 1956. The transistor was a major factor for the first little LED to enter the marketplace over a decade later. 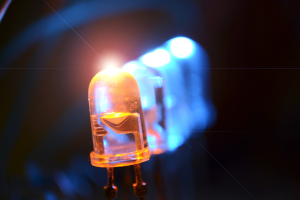 Originally, LEDs were only dim little lights in electronic equipment or in decorations, but in the last decade, research and development teams of major, global manufacturers have developed powerful light emitting diodes used in a multitude of industries, and having a variety of applications in electronics, sound systems, car lights, emergency lights, advertising, and so much more. That’s where Extreme Tactical Dynamics comes in because we use only cutting-edge, high-intensity LEDs in the police lights that we sell; we won’t settle for less! Any LED we select for one of our products must meet our high standards; they must be high-performance, durable, stable, reliable, and BRIGHT, and must be able to be seen for miles! In 1962, Nick Holonyak, Jr. while working for GE developed the first industrially produced little red LEDs which were used as indicator lights in electronics replacing tiny incandescent bulbs. Though very basic, they were a welcomed improvement to the old-fashion bulbs because they were very long lasting by comparison, but they were not very powerful. Today LEDs are not only much brighter and highly visible, but they also come in ultraviolet and infrared wavelengths. They are superior to traditional lights because they use less energy and don’t put a strain on electrical systems or batteries. LEDs are made completely differently from the traditional, incandescent bulbs that Thomas Edison invented in 1878, which actually have hardly changed a bit since then. LEDs release energy (light) in the form of photons. They are solid state with no filaments to burn out, and LEDs are measured in lumens* which calculates the actual ‘brightness’ of the light that the eye ‘sees.’ They are not made of glass, but of a transparent epoxy plastic...so are much more durable if dropped or hit. LEDs don’t just burn out like traditional bulbs...leaving you in the dark. They will never let you down because they just fade slowly giving you plenty of time to replace them, but with 100,000 working hours, you’ve got a long, long time before worrying about having to do that. LEDs use direct current instead of alternating current so they don’t ever flicker. They stay ON...Steady and Bright. LEDs are made so that all the light shines forward instead of in a circle as do traditional bulbs. Extreme Tactical Dynamics offers our customers a wide range of LED emergency lights with specialized lenses that enhance the natural direct LED beam in 3 different ways. The TIR lens is designed to refocus the LED light into an even more high-intensity beam; the Linear 1 lens spreads the natural beam so it covers a wider area, and the Reflex Optics lens widens the LED light spread even more to 180°. LEDs have built-in color instead of using a lens cover to create the color as is still the case with standard tail lights. There are many colors to choose from, but that was NOT always the case. It took decades of dedicated research before LED colored lights other than red were developed. Green, yellow, and orange appeared in 1971, but it took 22 more years in 1993 for the world to get a blue LED. White was created just 2 years later in 1995. It’s hard to believe that it took over 30 years for an ordinary, cheap string of multicolored LED Christmas lights to become available in stores, but it did. Extreme Tactical Dynamics still uses ‘wattage’ when referring to the intensity of our LEDs because our customers are more familiar with that measurement than with lumens*, the correct term for measuring the brightness of LEDs. But just remember, a 1-Watt incandescent bulb is NOT the same as a 1-Watt LED. A 15W LED can produce much more light than a 60W traditional bulb. A 1-Watt white LED can produce up to 300 Lumens/watt depending on its size, voltage, and the temperature, that’s why there is always a range when measuring lumens/LED. 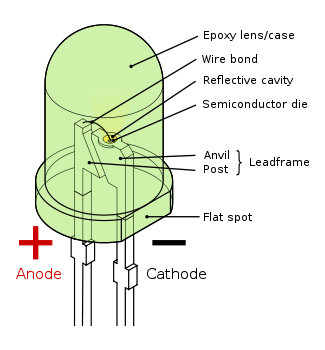 For more information on the LEDs that we use in our light setups, check out: How LEDs are Classified. Remember: A lumen is the brightness of a light that the eye actually sees, and even that is different, as you well know, during the day and the night. So there are a lot of variables when discussing the brightness (the lumen count) of an LED which makes measuring LEDs in lumens somewhat confusing. LEDs efficiently convert electrons into photons which produce powerful, eye-squinting, blinding light that generates far less heat than the older bulbs, but they are very harmful to your eyes if you stare at them because they are so much brighter than incandescent lights. LEDs are now in traffic lights, police car lights, and signal lights; that’s why the lights are much brighter than they used to be and why it’s almost impossible, when passing by, to look at them when they are flashing in full force! Year after year, government tries to limit the use of Edison bulbs, for they are inefficient, costly, and not long lasting. R&D teams are ever improving LED products by creating more and more different kinds of LEDS for home and industry. Consumers are baffled by the number to choose from which vary so much in color, shape, size, and lumens and, though much longer lasting, are also much more expensive than traditional bulbs. It is impossible to predict how the LED industry will evolve even farther, but one prominent manufacturer CREE has no doubts at all. It has publically stated that its goal is to make the world 100% LED. *Knowing a little more about LUMENS will help, since you will run across this LED lighting measurement more and more in the future as LEDs replace traditional bulbs. If you’re confused about ‘lumens,’ and are one of those people who stand in front of a wall of LEDs and never know which LED to buy for a lamp or light in your home, then check out this helpful little piece: Think Lumens...Not Watts!